Eight mayors participated in the 2017 MICD West regional session, held November 8-10 in Indianapolis, IN. 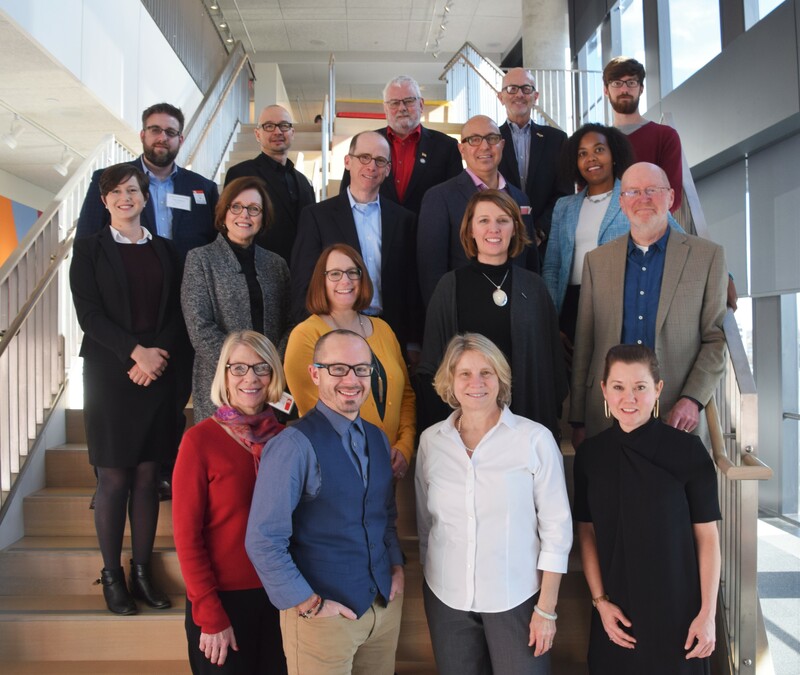 Hosted by the Ball State University College of Architecture and Planning, this two-and-one-half day session covered a wide variety of urban design challenges faced by cities across the region. Mayors each brought a case study from their city and received recommendations from a panel of urban design experts as well as their fellow mayors. Participating mayors included Mayor Mike Seminary of Bismarck, ND; Mayor Deborah Frank Feinen of Champaign, IL; Mayor William McLeod of Hoffman Estates, IL; Mayor Jim Throgmorton of Iowa City, IA; Mayor Andrea Summerville of Laramie, WY; Mayor Diane Marlin of Urbana, IL; and Mayor Kathy Ehley of Wauwatosa, WI. Members of the Resource Team each gave a short presentation on their area of expertise and provided recommendations on the mayors’ projects. The Resource Team included Joshua Bloom of Community Land Use + Economics Group, Philadelphia, PA; Hans Butzer of the University of Oklahoma College of Architecture, Norman, OK; Leigh Evans of Mapleton-Fall Creek Development Corporation, Indianapolis, IN; Thomas Gallagher of RATIO, Indianapolis, IN; Jennifer Pyrz of HNTB, Indianapolis, IN; David Rubin of DAVID RUBIN Land Collective, Philadelphia, PA; and Peg Staeheli of MIG|SvR, Seattle, WA. Two universities or nonprofits are chosen through a competitive RFQ process each year to host two regional sessions using the MICD model. The 2018 application round will open in late December.